Have you ever had a patient who had difficulty taking the medication you prescribed? You’re not alone. Patient non-compliance is a familiar challenge, and can result in the treatment being less effective than it should be. Greenhill Pharmacy may be able to provide solutions for challenges such as these. Working closely with the patient and the prescriber, compounding gives our pharmacists the means to customize medication to meet the individual needs of each patient. 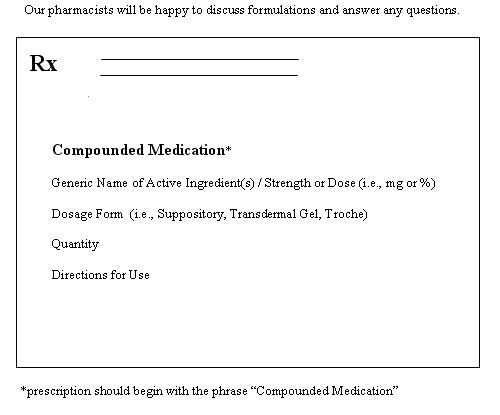 Compounding allows a medication to be personalized for an individual patient. The ability to create these personalized medications allows our compounding pharmacists to help patients with a wide variety of needs. Greenhill Pharmacy can recreate that medication by compounding it, so even if only one person in the world still needs that medication, they can have it thanks to compounding!